Sit On Top Kayaks have been designed for everyone and anyone. 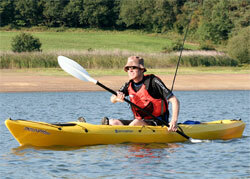 The design of most sit on top kayaks ensure they do not flood and are virtually unsinkable in normal use. If you don’t want to sit inside a kayak then you sit on top of the kayak. Sit On Tops can be used for fun and family paddling through to angling/fishing and fitness training. 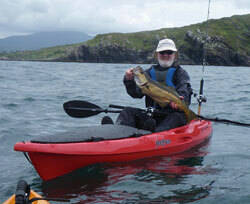 The most popular kayaks are the solo, double and fishing kayaks. Single Sit On Tops are designed for 1 person with a single seat. 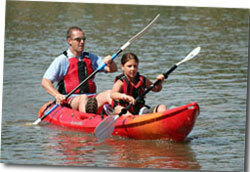 However, small children can often accompany the paddler for short periods of family fun. Wide range available from beach fun to touring & fitness. Tandem Sit On Top Kayaks are popular for families as these models can be used by 1, 2 or 3 people. Specifically outfitted Sit On Tops for Kayak Fishing. Note: There's nothing stopping you from leaving your rods at home and paddling a Fishing Sit On Top Kayak for touring and beach fun. Range of sizes available from compact to high volume.